The mosquitoes are out in full force this summer and they like to follow you wherever you go, including into your garage. If you are noticing that you can’t work in your garage or get into your car without having to swat away a swarm of these biting pests, here are some tips (non-chemical) to reclaim your garage and enjoy it once again. Standing water is the main culprit when it comes to mosquito breeding. Make sure there is nothing around your garage that can collect water. Check that your garage gutters are not clogged. Keep grass clippings away from water and rain. Provide fresh water to bird bath and pools. If you store recycling containers outside, drill holes to allow excess water to filter out. Store tires inside since water can easily get trapped inside of them. Check for puddles around your garage which don’t dry in a few days and invest in fixing your landscaping. You’ll notice that a few changes can greatly decrease mosquitoes from breeding. If you can’t beat them, then at least keep mosquitoes at bay by putting up a barrier between your garage and the outdoors. 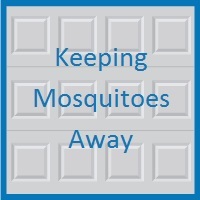 Garage door screens can be hung around the frame of your garage, letting you smell the fresh air without having to worry about how many mosquitoes are just waiting to bite you. 3.) Use a mosquito-repellent lantern/appliance or electrical trap. If you want to get rid of mosquitoes quickly from your garage, there are products that you can purchase to either ward off or kill mosquitoes. Lanterns and appliances work by warming up a cartridge that is filled with a natural mosquito-repellent ingredient and creates a barrier between you and swarms of mosquitoes, even for up to 15 feet. Mosquito “zapping” machines use ultraviolet black light to attract bugs and then does away with them with electricity. We hope these mosquito-ridding tips will help you make your garage a place to enjoy this summer. 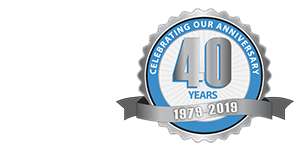 Blue Sky Builders offers free garage consultations upon request. Contact or call us at 630-852-8485. To see the types of garages we’ve built, please view our Blue Sky Builders garage gallery.